Jesus In A Nutshell: A Reflection For The 3rd Sunday In Ordinary Time, By Fr. 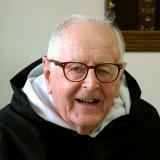 Peter Clarke, O.P. ​Greetings Brothers and Sisters. My theme for the 3rd Sunday in Ordinary Time 'Jesus in a nutshell' because find in just a few sentences St. Mark describes how He laid down the foundations for His establishing the Kingdom of Heaven on earth. We are told Jesus, commonly known as the 'Carpenter's Son' went from Nazareth to Galilee. "There He proclaimed the Good News from God." Indeed, Jesus Himself was God's gift to mankind. The Son of God, the Son of Mary, was a man among men. That is staggering Good News. To make Himself known He moved among the large Galilee fishing community, making friends. To some He said, "'Follow me and I will make you into fishers of men.' 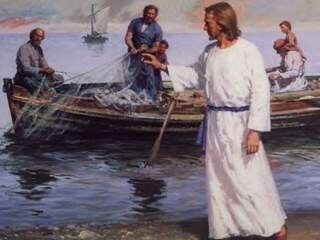 And at once they left their nets and followed him." Instead of catching fish to feed themselves and others with a tasty meal they would be catching men to feed them with the Good News of Jesus Himself. This blessed catch was to experience the joy of being with Jesus. St. John in his Gospel records that Jesus said, "I have come that they may have life and have it to the full," (Jn.I0.I0). In assembling a team of fellow-workers Jesus was laying the foundations for establishing the Kingdom of God here on earth. He Himself would be the corner-stone of such an enterprise. This is what St. Peter writes in his first letter, "Christ is the living stone, rejected by human beings but chosen by God and precious to Him; set yourselves close to Him so that you, too, may be living stones making a spiritual house as a holy priesthood to offer the spiritual sacrifices made acceptable to God through Jesus Christ," (1Peter.2.4). It is worth knowing this was written some years after Jesus had ascended into Heaven - this meaning that the work of Jesus was then being furthered in essentially the same way as when Jesus walked the shores of Galilee. What continued to be on offer was the Good News – the very person Jesus Himself, the way He lived, what He taught and ultimately His conquest over sin and death through the Paschal Mystery of His Death and Resurrection. It's good to remember that Jesus does not choose us for what we now are but for what He knows He can make of us – much to our surprise. It was He who made His first followers into 'Fishers of men.' For Jesus there was no elite group from which He could choose men immediately fit to be recruited as His fellow-workers. Indeed, every kind of group has people who deeply love Jesus, who love being His enthusiastic followers, who would love to be living in a vibrant Christian environment. What better place to start than in the home? There we might find co-operation; there the possibility opposition where the situation can only be saved through the wonderful grace of reconciliation with contrition inviting forgiveness, justified anger requiring genuine apology. If you are a loner with such ambitions don't be discouraged! One is infinitely more than zero. After all, none of us will ever be alone if we have in our lives Jesus, His Mother Mary and our favourite saints, as well as the company of those who share our beliefs and values.